Cheryl Strayed’s memoir Wild: From Lost to Found on the Pacific Crest Trail inspired Oprah’s Book Club 2.0 last year. But Cheryl took her famous hike in 1995. Wild was a bestseller fifteen years in the making. David Guterson wrote Snow Falling on Cedars over a ten-year period. Michel Faber worked on The Crimson Petal and the White for almost twenty. Helen Hooven Santmyer famously took almost six decades to complete …And Ladies of the Club. Why does the process sometimes take so long? I’m exploring my time with maverick archaeologist Marija Gimbutas, who lost her eight-year battle with lymphoma in 1994. In comparing my years digging to my years writing, I’ve realized that some projects take longer because they come from “the deep heart’s core,” to borrow a line from Yeats. We must excavate them over several seasons like archaeologists. Cheryl Strayed believes this time lapse was critical to her success, gifting her with a deeper perspective. Author and writing coach Cynthia Morris agrees. Her novel, Chasing Sylvia Beach (2012), took twelve years from idea to book launch. 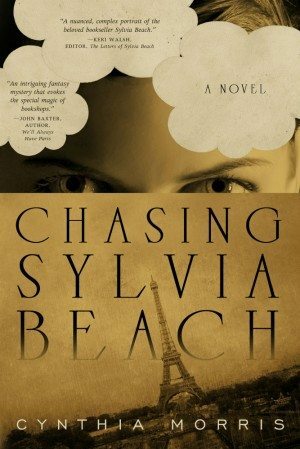 Chasing Sylvia Beach is set in 1930s Paris. The plot resembles Woody Allen’s Midnight in Paris, but it focuses on daring and unconventional women, specifically bookseller Sylvia Beach. I asked Cynthia about Chasing Sylvia Beach and why she thinks some books take longer. Cynthia, how did you know that Chasing Sylvia Beach was a “heart’s core” project? Did you ever consider abandoning it? When we’re working on a major project like a book, we always come to what I call ‘commitment points’. Faced with rejection, not knowing where to go with the story, distracted by other projects, we are tempted to abandon it. Frustrated, lost, or discouraged, we have to decide what makes this project one we must complete. This is a very personal process. Everyone will have to find their own motivation when they arrive at these commitment points. Chasing Sylvia Beach taught me that I am more tenacious than I ever knew. It just wasn’t an option for me to not finish and publish the book. I knew that if I abandoned the project I would ultimately feel awful about that choice and about myself. I knew I wouldn’t be the coach I need to be. I knew that if I didn’t finish it, that decision would alter me and my spirit in a negative way, and I wasn’t willing to let that happen. So no matter what happened with the book, no matter how ‘successful’ it would be, I had to finish it. I’m so glad I did. I can look myself in the eye now, and if I had ditched it, I would not be in integrity. In hindsight, would you do anything differently to compress the time it took to write Chasing Sylvia Beach? I shed my life in Boulder and moved to Europe. On the eve of my departure, I got an agent who wanted me to revise. But I was heading into the world with one suitcase. I moved to Lisbon and fell in and out of love. I moved around Europe as a nomad. That year was very difficult to write, but near the end of that year I had two months of relative seclusion in the south of France. During that time I made major progress, but before that I wouldn’t have had the focus or the ability to work on the novel. Then, when I returned to the US in 2009, my agent had the book but didn’t seem to be submitting much. Looking back, I wonder why I wasn’t as ‘on top of it’. But I was in a major process of upheaval and transformation and that took a lot of my focus. By early 2010 when my agent and I parted ways, I had another revision ahead of me. Aside from being a better writer than I was, I really can’t see how writing the novel could have happened more quickly. I don’t think it matters that it took so long. By the end of the project, I was a different person. I was able to bring things to the final draft that I couldn’t have brought to earlier versions. Self-publishing was at a radically different place in 2011 than it was in 2006 or even 2009. I believe in timing, and I also believe timing is a sort of trickster. We can’t control timing as much as we’d like, but when we look at our process, we can see that everything does happen at the right time. I’ve been coaching writers since 1999, and I know that we all have our own pace and our own timing. You cannot force someone. Life happens — deaths, job upheavals, major moves — and during those times it can be very hard to write. Writing and creating always seem to take longer than we want. The creative process is complex and humans are incredibly complex. In our minds, we’re unstoppable and we believe our creative process should operate like clockwork. In reality, we’re affected by all kinds of things — our emotional lives, the lives our loved ones, our work, our environment. That said, I do work with myself and others to drive away unnecessary resistance and procrastination. My clients become very clear about the difference between resistance, procrastination or adding new, exciting projects, and life’s inevitable upheavals that require our attention. Thank you, Cynthia, for this heartfelt advice. 1. Own it, honor it, and let it lead to kindred projects. Cheryl Strayed penned nature essays before she undertook Wild. David Guterson wrote short stories around Snow Falling on Cedars. Cynthia Morris forged a new career as a writing coach from her fascination with Sylvia Beach’s world. 2. Do short, daily timed writings around it. I recently took Cynthia’s Free Write Fling, a month of 15-minute writing prompts. I used each to delve into my archaeological memoir. At the end, I no longer felt overwhelmed and realized I could start writing it anywhere. 3. Work with a writing coach. As Cynthia mentions, if you’re extremely close to a project, unbiased support can help you distinguish between procrastination and incubation. In this era of what Jane Friedman calls commodity publishing, where “get it out quick” often trumps art, it’s time to celebrate these slow, hard-won successes and, like archaeologists, dig deep. Are you working on a heart’s core project? How have you kept it alive? Cynthia Morris is an author, coach, public speaker, and avid traveler. She has helped hundreds of writers find the motivation and structure of a writing life that fits their needs and lifestyle. Cynthia has also written Create Your Writer’s Life: A Guide to Writing With Joy and Ease. You can discover more at her site, Original Impulse. I heartily recommend Cynthia’s 31-day workshop, Free Write Fling, which starts again on May 1. Thanks so much for sharing this, Debra. I love how you framed this piece with examples of other writers’ processes. I hope this helps people feel less stressed about how long it’s taking. It doesn’t matter how long it takes. What matters is not giving up. Thank you, Cynthia! Your story is so inspirational and I think this is something we don’t often talk about as writers. You’ve given me huge impetus to complete my own project! Cynthia and Debra—This is such an inspiring interview! As a fairly slow writer of fiction, it’s always encouraging to hear about other writers’ challenges and triumphs. Thank you so much for sharing! Thanks, Suzannah! I’m glad this was helpful for you. Keep going…you’ll finish at just the right time. Thanks so much for the validation – it can be hard to believe in a project that takes so long. I’ve been writing a sci-fi novel for many years, but even if it doesn’t end up being published, it charts my development as a writer. It started as all plot, with cardboard characters. Gradually I’m getting to know my characters and learn about conflict and emotion. I don’t know how many more layers it’s going to need, but it’s all an exciting experiment! Thanks for commenting, Ann Marie! Keep going, and enjoy how working on this book is working you! I needed to hear this today. 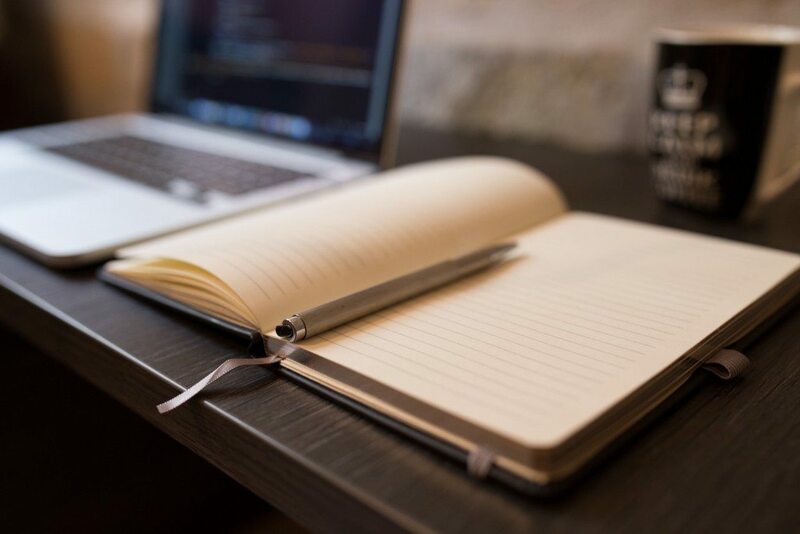 I’ve been frustrated with the length of time it takes to write the novel I’m working on, and it can be disheartening to see others cranking them out. “We must excavate them over several seasons like archaeologists.” I LOVE this. And the line from Keats. Thank you, thank you, thank you! If it’s any consolation, I think most writers are frustrated by how long it takes. Most writers I talk to, anyway. It always seems to help to know that this is universal, that it does take a long time to write. Hang in there, and stay connected to your own motivation for doing so. You’re welcome, Cynthia! Those same feelings lead me to write this piece. I’ve always considered Yeats’ “The Lake Isle of Innisfree” (from which this line comes) a metaphor for my process and often recite it before I start writing, so I’m glad it touched you. Just keep excavating that novel, Cynthia. You’ll get there! Debra, thank you for inviting Cynthia to write her inspiring guest post. And yes, I do have a heart’s core project – my nightly transcribing of the diary entries I wrote 50 or more years ago as a high school student in Iowa and then a college student in Missouri. I am working toward publishing them as a memoir after I finish my transcribing two years from now, April 25, 2015, which will be 50 years to the day after I graduated from Park College (now Park University in Parkville (suburban Kansas City), MO. Hi Barbara, thanks for stopping by! We’ve “chatted” about your project before and I still find it so fascinating. It’s wonderful that you’ve got your journals and it must be an amazing and emotional journey transcribing them every night. I’ve started journalling regularly recently, just so I can read the entries when I’m 85 :). I look forward to your memoir! Wow, Barbara! What a cool project! You must be learning so much about yourself through this process. I think most books we write teach us a lot about ourselves, but this one seems very personal. Good luck with it and have fun celebrating its completion next year! Loved this post and interview with Cynthia — thank you both for sharing such great wisdom and inspiration. So glad you liked it, Carolyn! Cynthia has been a great inspiration to me, too. That’s so kind of you, Debra. Thank you so much for hosting me here. Thanks, Carolyn! Happy writing to you, too! “I knew that if I didn’t finish it, that decision would alter me and my spirit in a negative way, and I wasn’t willing to let that happen. Thank you Debra and Cynthia. I so needed to read this. I have a heart’s core project that is taking for-ev-er. There are folks in my life who ask why I keep working on this, they don’t understand. But like Cynthia, I have to finish this one and it takes a lot of ‘digging deep.’ Thanks to both of you for the encouraging words. So happy you enjoyed it, Lynette. There’s so much emphasis on pushing out product this days, I truly believe we must all have a story to savor. I’m so glad this was helpful for you. I understand your frustration, believe me. I even had a boyfriend who encouraged me to move on from the project. I stuck with it and am glad I did! You’ll be glad when you finish and that you gave what you could to the project. Keep going until you feel complete. Hi, Debra. This was a great article. It took me over ten years to complete my novel, The Girl in the Box. There was a 12 year hiatus between my YA novel, Trial by Fire, and this one. It didn’t help me with my agent, who parted company with me suddenly and without explanation mid-way through this process. We hadn’t had any contact in a while, no disagreements, etc., so it hit me out of the blue. I guess it must have been that she did not think I would ever finish it. However, I’m glad I didn’t know, because if I had rushed it, it wouldn’t have worked. My next one, out looking for an agent at the moment, was much faster, partly because I had more time, and partly because I was not so emotionally invested in it. The Girl in the Box took a lot out of me, was deeply important to me, and related to my life in complex ways. It was a book I had to write – and had to write slowly for many different reasons. Your experience is a great reminder that each project has its own pace and timeline. So much of the creative process relies on our own intuitive knowing. I’m happy to hear you are following your own creative compass! Congratulations on finishing those books. Not easy, as we know. I read a little behind The Girl in the Box on your site, Sheila. The story is fascinating and I can see why it needed to gestate. Then there’s your agent’s odd behavior. So glad to hear this go has been easier! Great advice! I think we often feel discouraged when a novel takes so long. We need to read about others who also spent a huge chunk of their lives to produce a novel. It took me three years to write my first children’s book. I often had moments of despair but continued on. Books are like wine, they need to sit and ferment to become what they are meant to be. Thanks Debra and Cynthia! Thanks, Darlene! I’m glad this resonated with you. Hope your next book is in the works! Debra, thanks for a great interview. Cynthia, thanks for sharing the story of your journey to the heart core. I truly believe that “time” as we tend to fuss over it … is an intangible wisp like an angel’s wing. The one second we would have changed, the moment we regret and wish we had not lived, those are the sum of who we became today. So, in fact. Those great stories had to wait until their time. Not on the current mad-chase-social-media-craze-time … but on their own time. Your “angel’s wing” phrase reminded me that the Greeks had many different time gods. We’re most familiar with Chronos, linear time, but they also had Kairos, god of sacred time. I can always depend on you for intriguing insights, Florence! Thanks, Florence! I love your blog. I’m visiting Brooklyn now and your posts have been informative and entertaining! I know, Khaula! We have to remember that those prodigies are the exception, not the rule…that’s why they get all the publicity 🙂 For most of us, I think, good writing is slow, steady, and deep. Don’t ever give up! Boy, can I relate to this concept. I started the first book in my series 15 years before it was finally published. The final version was a lot deeper, a lot more mature than it would have been if I had finished it years before. Thanks, Cynthia and Debra, for the validation that sometimes slow is good! That’s so good to hear, Kassandra. You’re so prolific now, I wouldn’t have guessed. We have slow food and slow blogging movements, I’m all for a slow writing one!